28 Nov 2018 – It is welcome that finally there has been a little pushback, including from leading journalists, to the Guardian’s long-running vilification of Julian Assange, the founder of WikiLeaks. 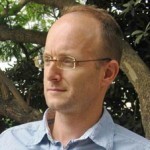 Jonathan Cook is an award-winning British journalist based in Nazareth, Israel, since 2001. He is the author of: Blood and Religion: The Unmasking of the Jewish State (2006); Israel and the Clash of Civilisations: Iraq, Iran and the Plan to Remake the Middle East (2008); and Disappearing Palestine: Israel’s Experiments in Human Despair (2008). In 2011 he was awarded the Martha Gellhorn Special Prize for Journalism. The same year, Project Censored voted one of Jonathan’s reports, “Israel brings Gaza entry restrictions to West Bank”, the ninth most important story censored in 2009-10.